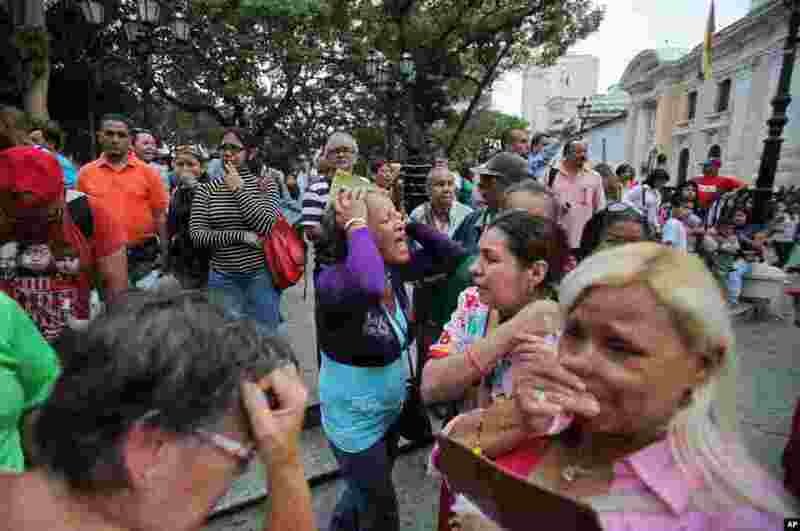 1 Supporters of late Venezuelan President Hugo Chavez react as they view his coffin during a wake at the military academy in Caracas, March 7, 2013. 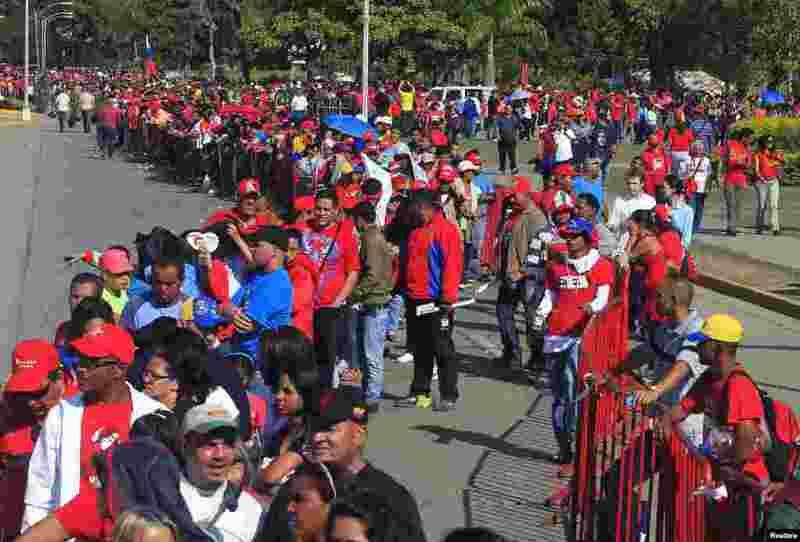 2 Supporters of Venezuela's late President Hugo Chavez protest over others cutting the line as they wait to view his body in state at the Military Academy in Caracas, March 7, 2013. 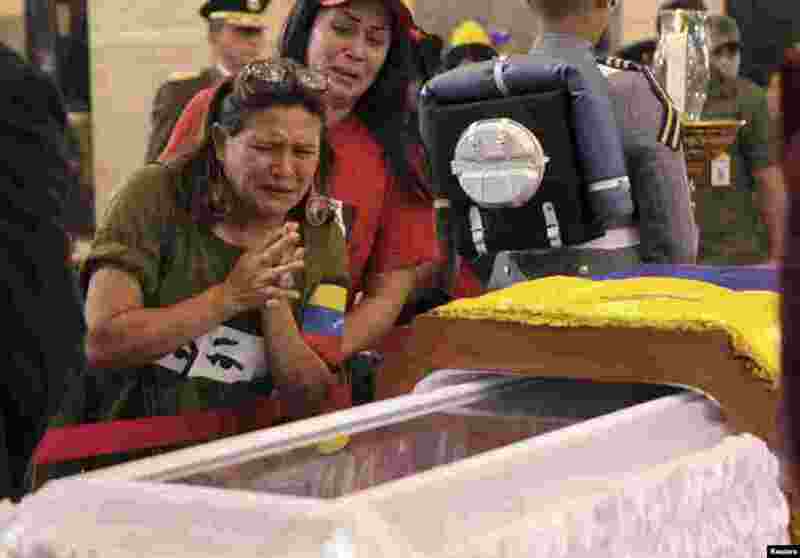 3 Supporters of Venezuela's late President Hugo Chavez line up to view his body in state at the Military Academy in Caracas, March 7, 2013. 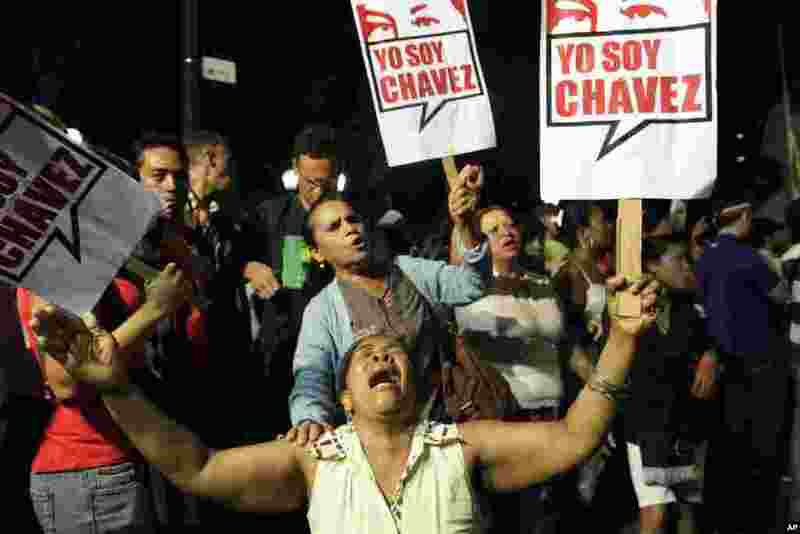 4 Chavez supporters react after his death was announced, Caracas, Venezuela, March 5, 2013. 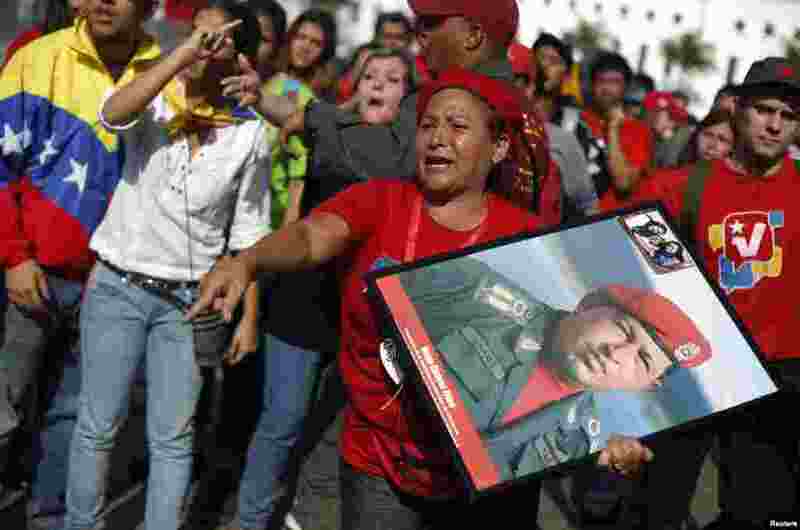 5 A supporter of Venezuelan President Hugo Chavez cries as she holds a sign that reads in Spanish "I am Chavez," in Bolivar square, Caracas, Venezuela, March 5, 2013. 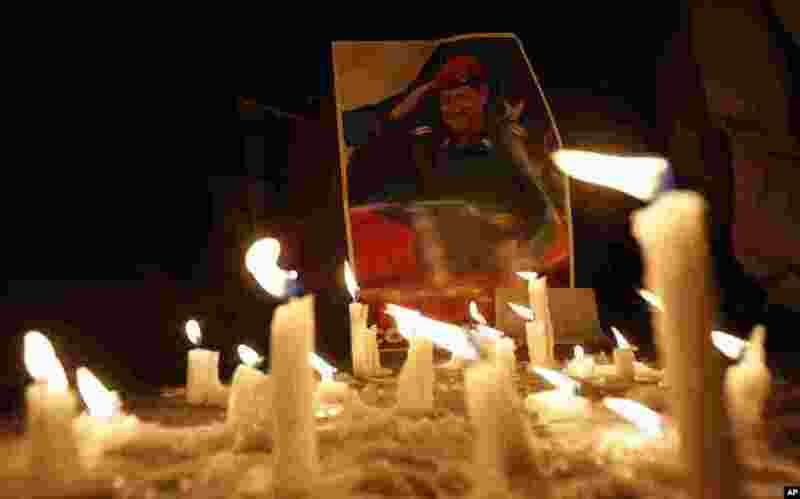 6 A woman places a candle in front of an image of Venezuelan President Hugo Chavez outside Venezuela's embassy in La Paz, Bolivia, March 5, 2013. 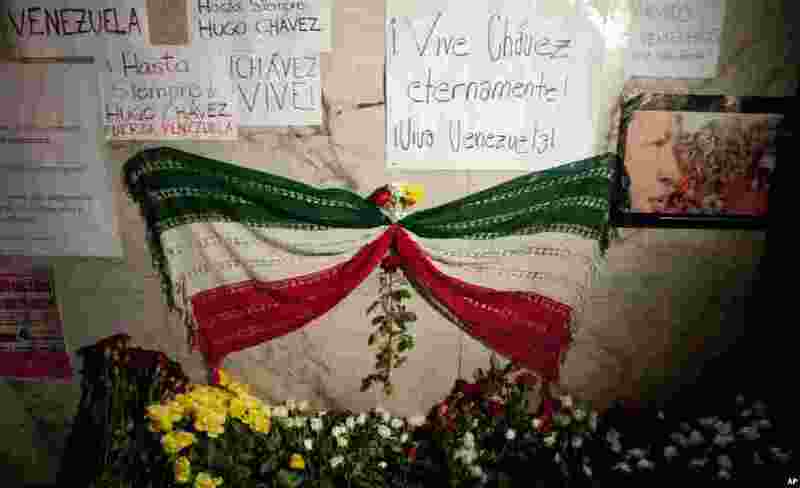 7 A mourning ribbon with the colors of the Mexican flag sits next to an image of Venezuela's President Hugo Chavez in front of Venezuela's embassy in Mexico City, March 5, 2013. 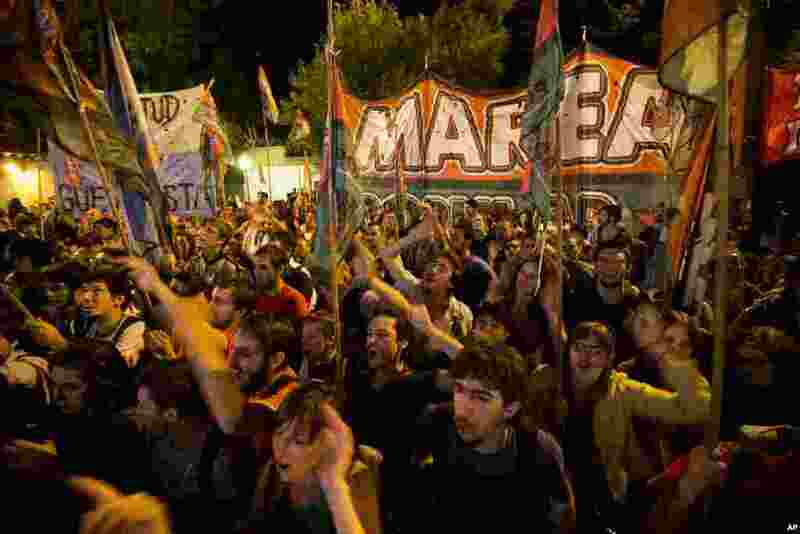 8 Argentine supporters of Venezuelan President Hugo Chavez demonstrate in front of Venezuela's embassy in Buenos Aires, Argentina, March 5, 2013. 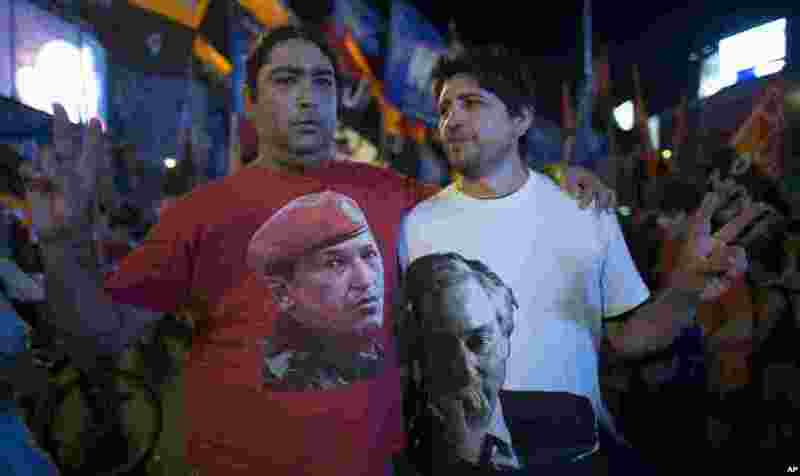 9 Argentine supporters of Venezuelan President Hugo Chavez pose for pictures wearing T-shirts with images of Chavez, left, and Argentina's late President Nestor Kirchner, right, in Buenos Aires, Argentina, March 5, 2013. 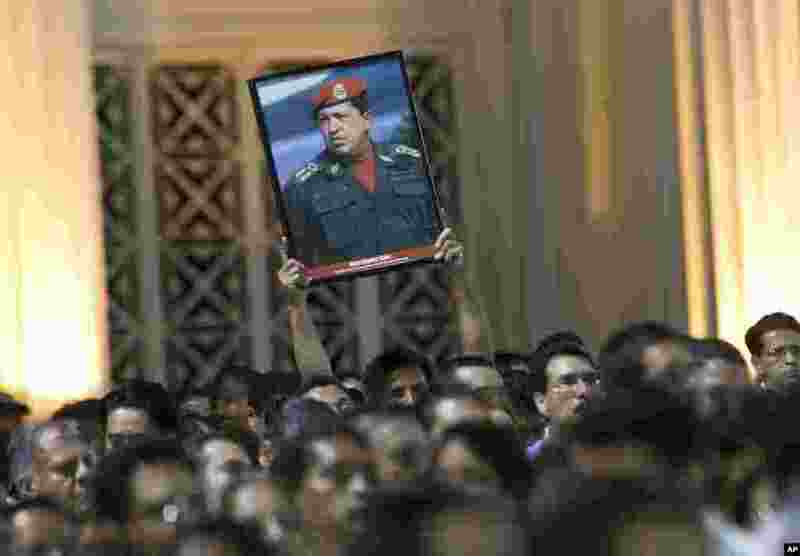 10 A man holds up an image of Venezuela's President Hugo Chavez during a demonstration in Managua, Nicaragua, March 5, 2013. 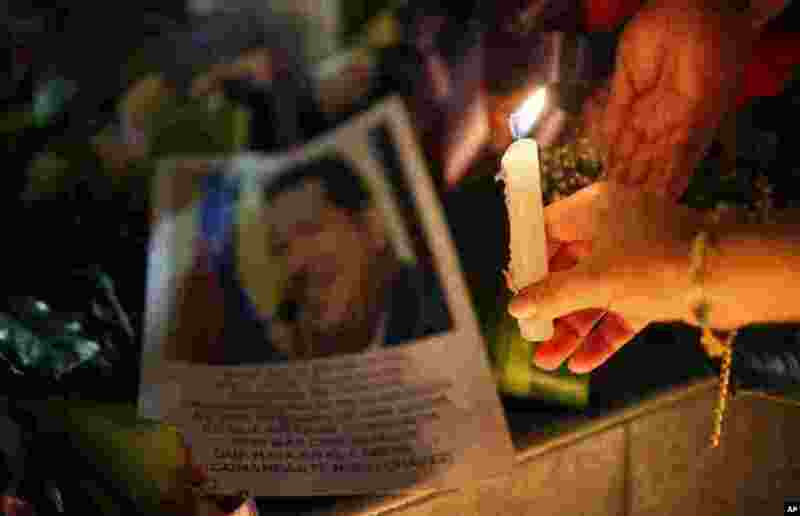 11 Candles, placed by mourner demonstrators, burn in front of an image of Venezuelan President Hugo Chavez outside Venezuela's embassy in Quito, Ecuador, March 5, 2013.